Mobile phones have become a huge part of our daily lives, but what are they made of? And could the materials they are made of be visualised? This was the challenge set for us by an initiative organised by the Sustainable Earth Institute at the University of Plymouth - to enable researchers to communicate with wider audiences by partnering with creative organisations. The first step for Dijkstra and Wilkins was to carry out a full elemental analysis of a mobile phone in their labs. For this, they crushed a mobile phone in a blender, dissolved the scrap, and analysed the solution in Plymouth University’s trace metal laboratory. The results showed that everyday phones are rich in gold, neodymium, tungsten and cobalt, to name a few critical materials. For instance, concentration-wise a phone has 100 times more gold, or 10 times more tungsten, than an ore that geologists would call ‘high-grade’. The ‘exploding phone’ aims to inform and stimulate further discussion on renewable and sustainable sourcing of materials. It is important that consumers are more aware of the materials that make everyday technology work, where they come from, and their environmental or social costs. Millions of pounds are wasted on unwanted gifts which will likely end up in the bin. If you had a magic levitation device, what would you use it for? Every nascent technology confronts its developers with a question like this. In August 2018 Real World Visuals managed a bespoke project; to bring artists and engineers together for a workshop that enabled them to play with an ultrasonic levitating device. NurSus need an educational resource for current and future healthcare professionals that communicates the carbon emissions and reductions that could be achieved in the NHS. Biological systems such as temperate peatlands can help store carbon, but just how much? A short film that visualises the rate of plastic waste in the Mediterranean Sea every second, every day. A recent film that demonstrates in real time the rate of global CO2 production. The film was shown at the 44th G7 summit in Toronto, Canada. What’s the carbon saving from running vehicles on liquid petroleum gas (LPG)? See the data visualisations and careful calculations for this data visualisation project. How do you add a ‘wow’ factor to a major bid or proposal where carbon saving is important? We were asked by Global Network of Civil Society Organisations for Disaster Relief (GNDR) to provide a crowd visualisation that helped people better understand their membership profile. How do you draw attention to the recycling we don't do (but could)? And how can you show people the benefits? West Sussex Waste wanted an innovative way to reach out to households and approached us for ideas. Starting point was the strap line for the campaign - Think before you throw - and a giant spreadsheet which was trawled for appropriate and usable data. 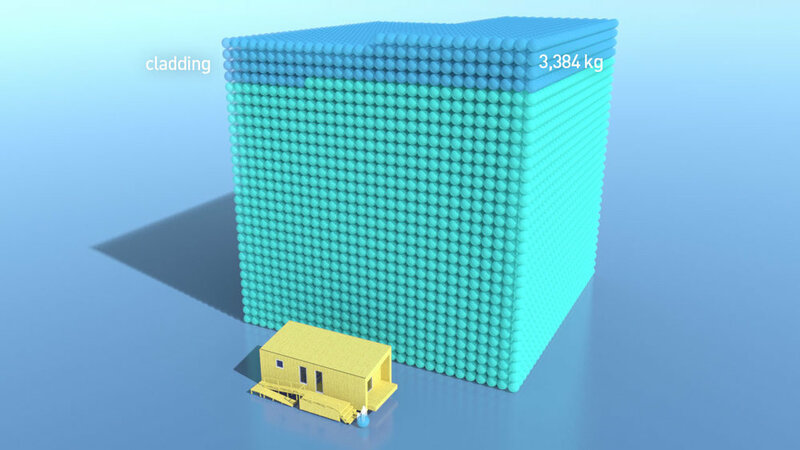 We have been visualising how material in construction can have a positive impact on carbon dioxide levels. This is how a building can ‘bank’ carbon through natural construction materials. Building with bio materials like straw and wood locks up carbon. 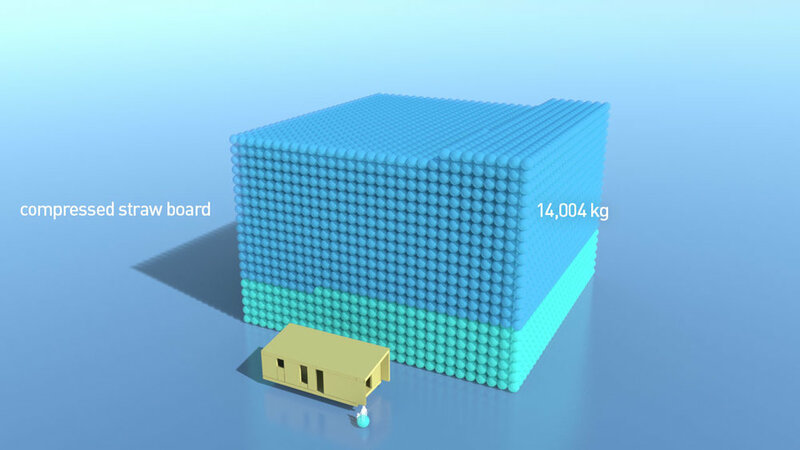 The visualisation below shows the amount of carbon captured within different materials. The use of bio-based materials has been met with scepticism from architects, insurers and contractors. That is now changing as bio materials become mainstream in the construction industry. Seeing the ‘carbon-capture’ potential of these sorts of buildings could help those in the sector consider the full potential of working with these materials. The bubbles here represent a carbon saving. Innovative bio building specialists Modcell and Coobio asked us to create a set of images that show the actual embedded carbon dioxide in a typical modular TAM (Temporary Accommodation Module) building. The imagery is being used to illustrate the carbon benefits of the companies high quality affordable social housing and alternative lodge homes. Often a simple image set can get across a positive message better than any amount of words, helping people really see success, aspiration and change. This is particularly true in the case of stories of carbon reduction and carbon targets. Ireland has agreed to cut emissions from electricity generation, buildings and transport by at least 80% by 2050, compared to 1990 levels. But shifting to a sustainable energy system requires both political and societal support. An easy way to visually explore energy options was needed. As different options are selected the reduction in carbon dioxide emissions is shown as a real volume (m3 per second). From the beginning a key part of the brief was to allow the tool to be used on smart-phones and tablets as well as conventional computer screens. Making a tool like this work on such a wide variety of devices imposes quite strict constraints. We were very limited, for instance, in what we could do in 3D - a library such as Three.js won’t work on all devices, many of which have no 3D hardware and can’t handle WebGL. 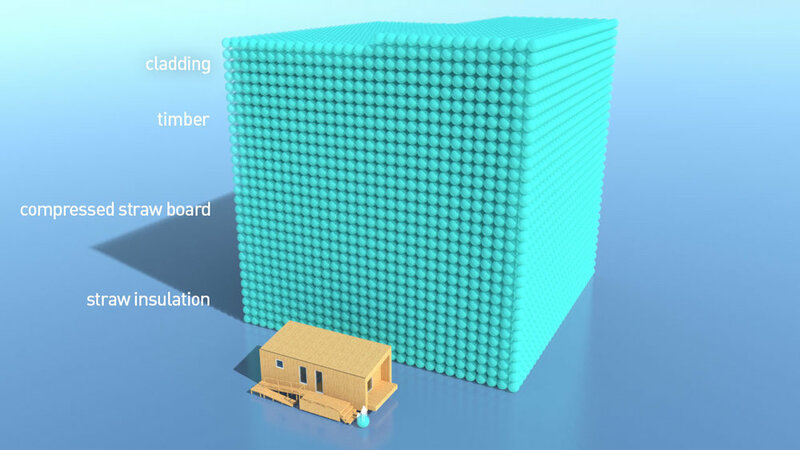 Because 3D is so important to the way we make quantities visible, we built our own very simple system for generating isometric diagrams - a simplified 3D engine. The excellent Ireland 2050 website provides detailed yet accessible information on the past and present energy generation and use in Ireland, as well as the My2050 tool and the specialist Irish 2050 Calculator. The My2050 tool can be explored here. To see how it works on smaller screens open in a new browser window. Students and staff at the University of the West of England (UWE) can now see the real-time, monthly and annual carbon emissions associated with every building on the different campuses in and around Bristol. Our prototype carbon and energy visualiser has been improved to give faster and smoother operation and also allow viewing on smart phones, tablets and full-sized screens. Open in full-width new window. UWE has made a commitment to reduce absolute carbon emissions by 22.5% and a 50% relative reduction of energy by 2020 (over 2005 baseline). This means that no matter how many buildings, or students, are at UWE Bristol overall carbon emissions must be reduced. The university is on course to meet this ambitious target but to reach it everyone on campus needs to be aware of the challenge and actions they can take to help. See here for the UWE webpage. An unusual request comes from a successful start-up business in the USA. Could we visualise the exponential growth of mobile phone money transactions using their app? Bristol Waste Company is keen to engage directly with households about the benefits of waste and litter minimisation and recycling. Real World Visuals has created two films that show the actual volumes of litter, recycling and recycling opportunities. The goal of the project is to elicit a measurable increase in waste minimisation and recycling and provide direct cost benefits to the council. How can we make an abstract idea like, 'the value of water' real for customers of South West Water?